I’ve been reading how it’s book festival season in the UK at the moment, so I thought I’d better see how France compares, and in particular, my région – Limousin. Limousin consists of three departéments – Creuse (where I live), Correze and Haute-Vienne – and is pretty much slap-bangin the middle of France. It’s a largely rural area with an elderly and declining population, so it’s not the cultural hotspot of the country. However, a look at this website reveals that is plenty of literary activity going on. There are numerous secondhand book fairs, series of lectures, storytelling festivals, comic book and children’s book fairs, days devoted to schoolbooks and the intriguingly entitled event: Les auteurs vivants ne sont pas tous morts – living authors aren’t all dead! 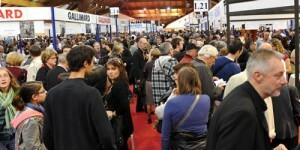 The biggest salon du livre in our area is the annual Brive one. My two eldest children usually go there with lycée each year and enjoy it. I shall go too this October. I’m glad I did this bit of research because I had no idea there was so much going on book-wise. 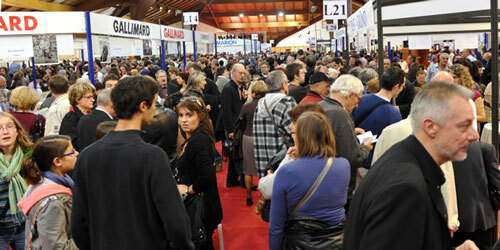 I’d be fascinated to meet some French authors and talk with French publishers, being an author and editor myself. My main impressions of French books are that they are expensive, but lavishly produced and with a penchant for quirky illustrations. I must look into this in more detail. And how will e-books fit into such festivals? Very well, I think. Authors can still attend fairs and talk to fans. Rather than autographing paper copies of books, they’ll have to sign good old fashioned autograph books (do you remember those? I got through loads as a child!). The e-books can be displayed on computers or Kindle or whichever platform they’re designed for. In fact, I think this would do nothing but good since may traditional dead-tree readers are badly informed about electronic reading media and deeply suspicious of it. It would be a great chance for them to get up close and personal with it. Ebooks certainly won’t kill book festivals.